Who is "Mike Ogg" ? The Story of General Ogg and why he was - and is - so important to Montgomery County and Beyond. 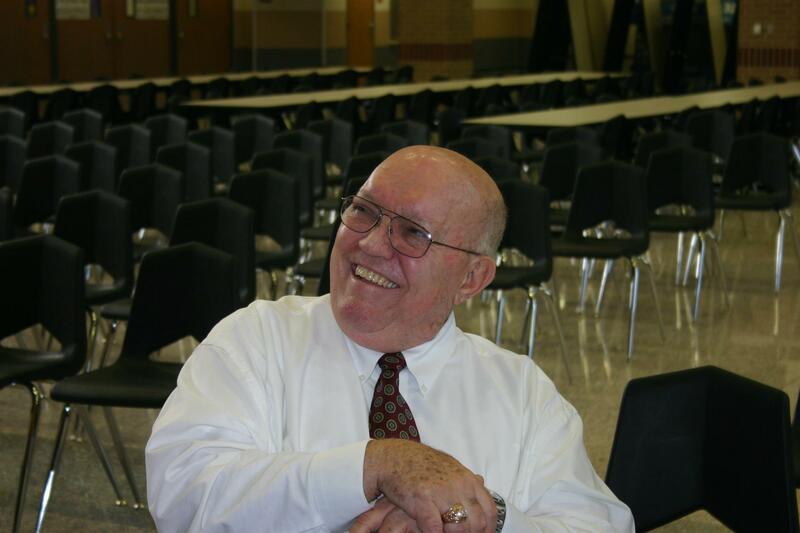 Don Michael (Mike) Ogg was hired by Montgomery ISD on July 1, 1996 by the Board of Trustees as the principal of Montgomery Junior High School and, after 39 years of service to public school students in Texas, he retired from MISD on June 30, 2001. Throughout his career, Mike held positions as a teacher, a coach, and an assistant principal in the Richardson Independent School District. Mike then served as principal of Gladewater High School in Gladewater, Texas and as high school principal of A&M Consolidated High School in College Station, Texas. Additionally, Mike was principal of Gilmer High School in Gilmer, Texas and also he served as Superintendent of the Gilmer Independent School District. Although retired from his school post, Mike remained active in the Montgomery Schools. He was often seen at many of the campus functions and extracurricular events and he would not hesitate to come to the aid of anyone who called upon him. The attached picture was taken of Mike as he attended the dedication of the new campus of the Montgomery Junior High School in October of 2007. Besides being a career educator, Mike was a member of the armed forces. He served as a Lieutenant in the U.S. Army and spent 32 years of combined commissioned service in the Regular Army and the Texas Army National Guard. Mike retired from service as Brigadier General Retired. Recently Mike would be called upon to travel to various National Guard posts to speak to the families of the Guardsmen who were about to be deployed to foreign countries, including Iraq. He was charged with informing the families about community, state, and national services that were available to them while the loved one(s) were away on their mission. Mike gave freely his time, talent, and treasure to improve the lives of those around him. His memory will be cherished as a man who made a difference. Duane McFadden, principal of Montgomery Junior High School, offers his thoughts about Mike Ogg.